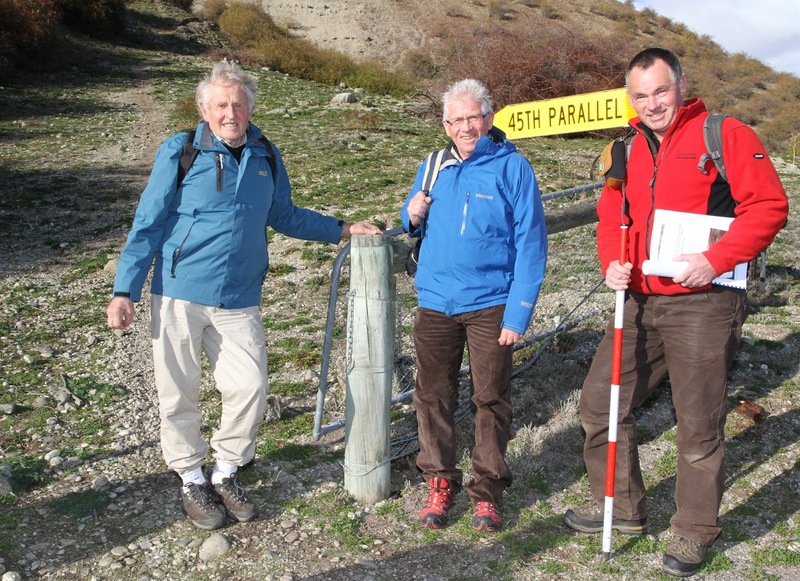 Cromwell Rotary have developed a narrow walking track up the Sugar Loaf in 2009 to allow visitors to view the 45th Parallel and surrounding lake area from the crest of the Sugar Loaf terrace a significant land form and landscape. This is managed currently as an out and back track from State Highway 6 Luggate – Cromwell Road beside Lake Dunstan 500m north east from Lowburn inlet and Valley up the lakeside face of the terrace via a series of steps to a viewing point aligned with the 45th parallel. This has received use from passing visitors and locals alike and with its success the club has extended the walking track down Hanging Gully on the true route via the early gold workings down to the Lowburn inlet and then around the foot of Sugar Loaf terrace to the track starting point beside Lake Dunstan and the SH. This has created a rewarding loop track with outstanding views and opened up a previously hidden sequence of early gold workings for public access and appreciation. Most of the current track and new extension is located on Central Otago District Council (CODC) owned land. The Sugar Loaf area is an Area of Outstanding Landscape in the CODC District Plan requiring compliance with Rule 4.7.6L (1) (c) relating area/amount of earth/material disturbance. The Hanging Gully is a recorded archaeological site on the NZ Archaeological site recording register G42 572 and the Cromwell Rotary Club along with consultation and gaining approvals from various other bodies such as LINZ, NZTA, adjacent neighbouring landowners worked with Heritage New Zealand (HNZ) to gain the required consents to run the track extension through the archaeological gold workings site in Hanging Gully.